Since 2013, German researchers from the University of Tübingen are working in the fascinating lands of Kurdistan, discovering new archaeological sites. It is not the first time that lost cities have been found in Kurdistan. 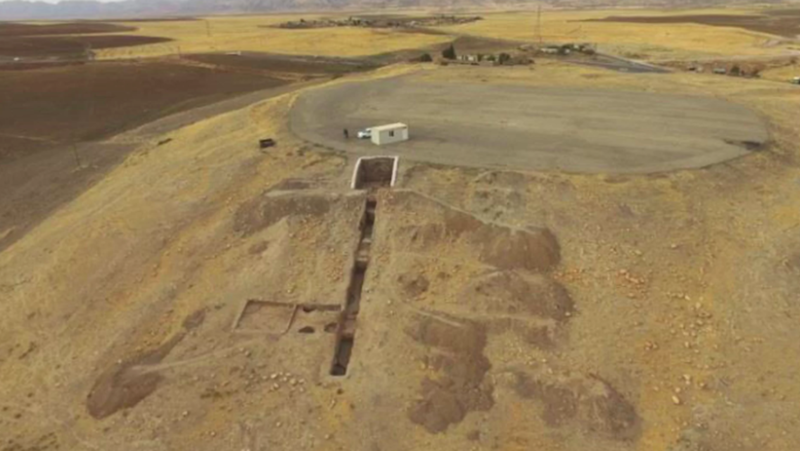 Last year, for example, a group of archaeologists from the British Museum, thanks to the help of a drone, discovered the remains of an important lost city founded by Alexander the Great over two thousand years ago, an ancient town in the north of the country, with the name of Qalatga Darband, built on the road that the Macedonian emperor would have traveled in 331 BC. While in 2016, in Assyrian monastery destroyed by ISIS, the bones of a Christian martyr were found. In the summer of 2017 archaeologists had already found tablets inside a clay pot, protected with a clay coating. The latest recent discovery, however, announced by Live Science, is unbelievable. Inside an amphora, protected by a thick layer of clay, the researchers found 92 cuneiform tablets dating back to the Sumerian era, which reveal the whole history of the lost city, at least until today, of Mardaman. On the tablets are indicated the name of the governor, Assur-nasir, his tasks and his activities. To decipher the cuneiform writings on the small and ruined tablets, it was the researcher and philologist Betina Faist, directed by the colleague Peter Pfälzner, director of the excavations and professor of Near East Archeology at the University of Tübingen, who, analyzing the place of the find, says: "Suddenly we realized that we were bringing to light the palace of an Assyrian governor." A surprising discovery, which has unveiled a mystery contained in a capsule of time, a clay amphora that has kept for centuries witnessing written. The tablets have made it possible to clarify the geographical location of the ancient Mardaman, whose history, complex and fascinating, has its roots in ancient times. But, how ancient is the city of Mardaman? Mardaman or Mardama is an ancient city whose history dates back to the early days of Mesopotamian civilization. This city, strategically positioned, flourishing and commercial, was populated between 2200 and 1200 BC: it was a kingdom, or a provincial capital, conquered and destroyed many times. The oldest source cites its destruction around 2250 BC. from Naram-Sin, the most powerful sovereign of the Akkadian Empire. Sources of the third dynasty of Ur (2100-2000 BC) portray it as an important city north of their empire. In 1786 a.C. Mardaman was conquered by Shamshi-Adad I and incorporated into his reign of Upper Mesopotamia. A few years later, it became an independent kingdom under a Hurrian ruler called Tish-ulme. Followed a period of prosperity, but later the city was destroyed by the Turukkei. Mardam, besides being the administrative seat of the Assyrian provincial governor, remains an important part of the history of Mesopotamia. The latest archaeological discoveries in the lands of Kurdistan make it even more fascinating a country rich in history and treasures yet to be unveiled.